Oh was selected for National Public Radio's summer reading list of 2009. NPR reviewer Lucia Silva called it "a triumphant kick in the pants for anyone who doubts the future of paper-and-ink books." 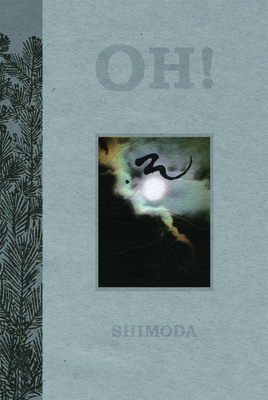 Oh is a hybrid novel, with nonfiction and artwork mixed in. The main storyline follows Zack Hara, a young Japanese American searching for an emotional life while traveling in Japan. Zack finds an ally in a professor and underground poet who introduces him to the concept of mono no aware, roughly translated as the emotive essence of things, or the sadness in beauty. The professor, grieving for a missing daughter, assigns Zack a set of mysterious tasks. Zack's search for self-discovery turns into a search for the professor's missing daughter, and draws him into the tragic phenomenon of suicide clubs. Todd Shimoda, of Hawaii, has published two popular novels that deal with Japan and Japanese themes: 365 Views of Mt. Fuji (Stone Bridge Press) and The Fourth Treasure (Nan Talese/Doubleday). The books have been translated into six languages with over one hundred thousand copies printed worldwide. Todd was also the recipient of the Hawaii Literary Arts Council's 2010 Elliot Cades Award for Literature, and The Fourth Treasure was listed as a 2002 Notable Book by the Kiriyama Prize. Linda Shimoda is an accomplished artist, illustrator, and book designer. She is also the curator of the Kaua'i Museum in Hawaii. Her illustrations and artwork have appeared in both of husband Todd Shimoda's first two novels. In Oh!, her artwork offers clues to the fate of the novel's protagonist, Zack Hara.